The river Moi between Thailand and Myanmar is swift and wide. 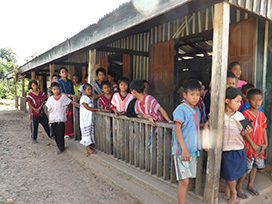 Seeds of peace have started to sprout and grow in Karen State. 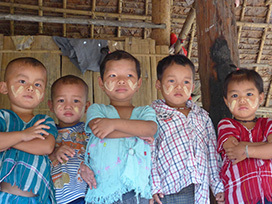 What will a true and lasting peace look like for Myanmar and the Karen people? The kids at Wai Ler Mu Primary School were both curious and excited to meet visitors from Australia. Sharing a meal and meeting the headman of Wai Ler Mu village. 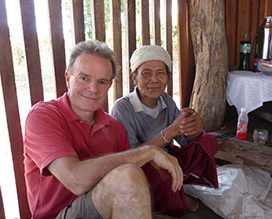 We were overwhelmed with the hospitality and generosity of the the Karen villagers. The nursery kids sang us a song of welcome. 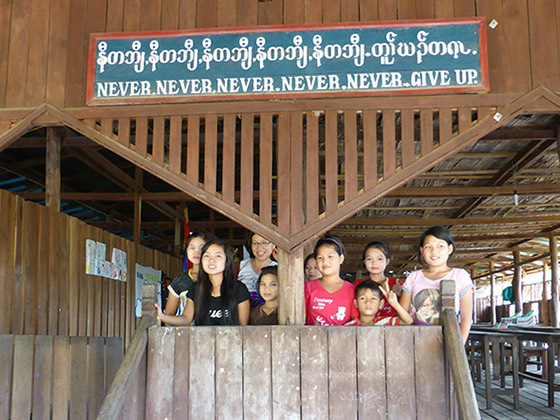 Here are three local heroes - primary school teachers at a small school just over the river in Karen State. Karen State is situated in Myanmar (Burma) and shares a border with Thailand. 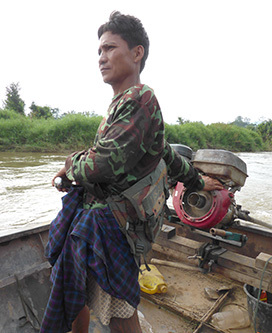 Decades of war with the Burmese military have forced many thousands of Karen families across the river into Thailand, where they live in refugee camps. 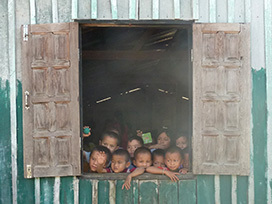 From those camps, Karen families have settled in countries around the world, including Austalia. But there is some hope for the future. 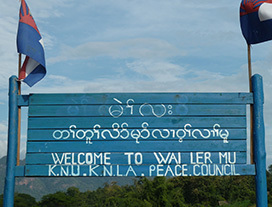 Two years ago, a ceasefire was signed, and the Burmese government and the Karen people are trying to imagine what a lasting peace might look like. 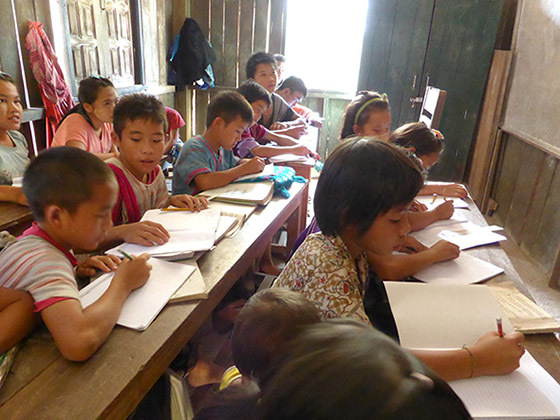 In November 2013 I visited some of the small villages and schools in Karen state that dare to dream of peace and a brighter future. 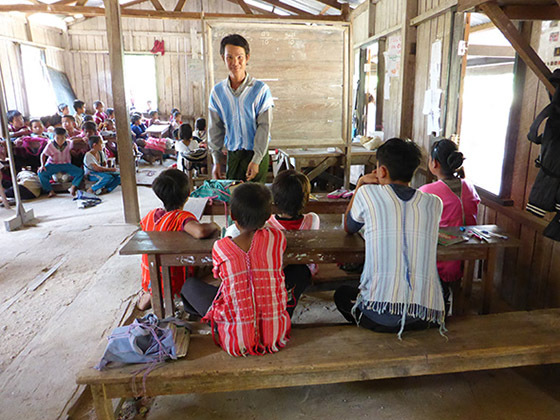 A school class at Wai Ler Mu Primary School in Karen State. Hey, this is cool! I can draw! How's this for a school motto? This is really the motto for all Karen people. 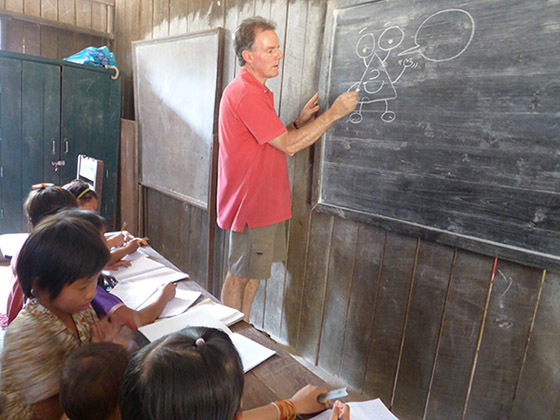 The Karen people are passionate believers in education. And what they need now is peace and hope for the future.